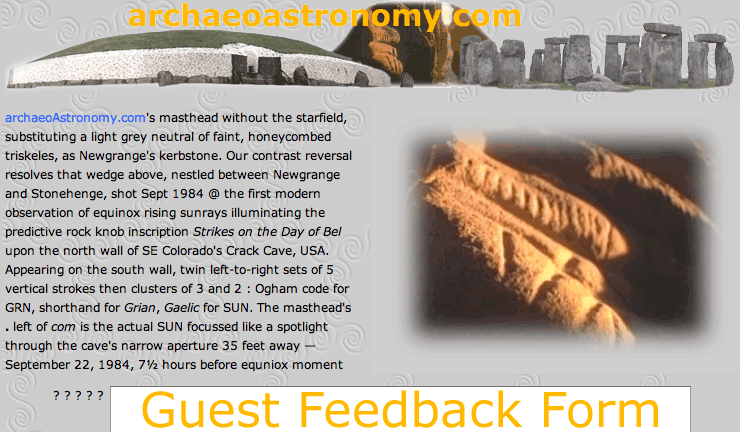 Welcome to archaeoastronomy.com, launched November 1997 and curated since. Support my work by watching my new documentary Sacred EquinoX at Vimeo-On-Demand for $4.71 (stream for a day). Ancient sky-watchers memorialized astronomical rhythms overhead and at the horizon associated with seasonal divisions. These shaped many diverse cultures and spawned countless time-keeping refinements — ultimately atomic clocks. Humans, animals and plants adapt with the seasons, gliding together through infinity, spinning, orbiting and spiraling as we're tugged by our Sun's course around the Milky Way, one of an estimated 100,000,000,000 to 200,000,000,000 galaxies in the Universe. 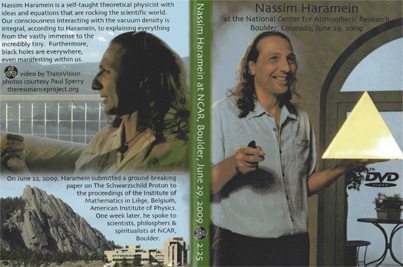 If you like what you see and read here, please recommend archaeoastronomy.com to others! This 2017 HD documentary features abundant evidence favoring pre-Columbian, and likely pre-Christian, exploration of mid-America's most remote canyon lands. Telltale Ogham rock writing and solar alignments upon pagan carvings celebrate and memorialize Earth's seasonal cusps.